Flip a coin. If heads, prevent all effects of an attack, including damage, done to Grim Reaper during your opponent's next turn. Flip a coin. 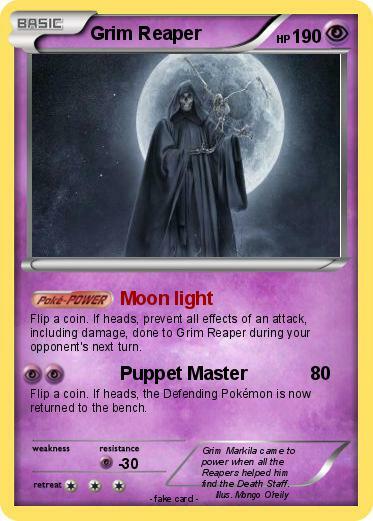 If heads, the Defending Pokémon is now returned to the bench. Comments : Grim Markila came to power when all the Reapers helped him find the Death Staff.